Harvard professor Sarah Lewis talks to Co.Design about the transformative power images have for social justice. When protests erupted in Baltimore over Freddie Gray, the 25-year-old man who died as a result of injuries sustained in police custody last year, a young, self-taught photographer named Devin Allen hit the streets to capture the scene around him. He posted the images to his Instagram; one of them went viral and eventually landed on the cover of Time. Allen’s work shows just how crucial the role of photography can be to social justice. He’s one of the dozens of contemporary and historic photographers featured in “Vision & Justice,” the latest magazine issue from the nonprofit arts organization Aperture. Edited by Sarah Lewis–an accomplished essayist, best-selling author, TED speaker, and Harvard professor–the issue offers a comprehensive look at the relationship between images and black experiences in America. In many ways, photography today holds more weight than ever. Everyone with a smartphone has the ability to become an activist. Consider the bystander footage of a police officer placing Staten Island resident Eric Garner in a chokehold that led to Garner’s death. We have more instantaneous access to see what’s happening around us and because anyone can set up a Tumblr, Instagram, Snapchat, or Twitter account, we’re also privileged in that the authors of these images are more diverse and democratic than ever. To put it into context, fewer than 10 photography books were published about or by black photographers before 1970, writes Carla Williams in an essay about The Black Photographer’s Annual, a short-lived magazine, which appears in the issue. Lewis, who comes from a family of artists, has always been fascinated with photography. A historian by training, she was particularly interested in how art has been used over time as a way to correct societal and cultural failures. 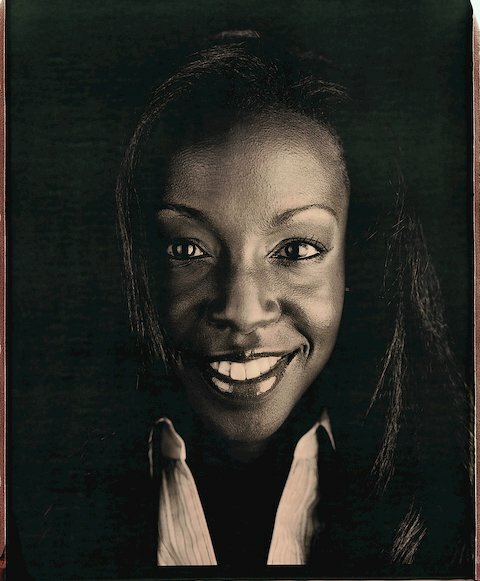 To help tell the story, she enlisted luminaries like filmmaker Ava du Vernay, artist Dawoud Bey, historian Henry Louis Gates Jr., and shared work from countless practitioners like Annie Leibovitz, Deborah Willis, and Ruddy Roye. We spoke with Lewis about the Vision & Justice issue, its genesis, and how she hopes it can influence our culture and the very way we see. Co.Design: The issue’s scope includes film, fashion, art, documentary, historic exhibitions, activism, and even Instagram. Can you tell us about assembling the writers and artists featured and developing the editorial direction? Sarah Lewis: My aim for the issue was to create a constellation of artists, writers, scholars, poets, even musicians who could match the gravity–and enormity–of “Vision & Justice.” I wanted it to be as capacious as possible. It wasn’t privileging one type of photography over another. Aperture was fantastic to work with. I was clear about wanting to engage with people who perhaps hadn’t been on its pages before. In every case, it was a direct invitation to someone I knew or whose work I knew very well. Even if I thought they might be too busy [to participate], perhaps the urgency of the topic would compel them. In every case, they agreed and I was very honored that they were offering their skill and insight to a topic that I think we need to explore far more than we do. The issue’s cover–which will the be first thing someone sees when they pick up a copy–is evocative. One version shows three generations of the King family and another is a contemporary fashion photograph from Vogue. What did you want to convey with these images? The first, just on the point of the King photo by Richard Avedon, I chose that and titled the issue “Vision & Justice” not “Images & Justice” or “Photography & Justice” because the theme is not about the vision of one masterful photographer, like a Richard Avedon, but instead I think about the transformative role that images have on our vision of the world. That’s also why Frederick Douglass was an inspiration for the issue because this is what animated his speech “Pictures & Progress” and his desire to rewrite it three times over the course of his life. It’s an interest in the phenomenon that we’re just starting to interrogate as we live it out, which is: What does it mean to be saturated by images such that they change our perception of the world constantly? 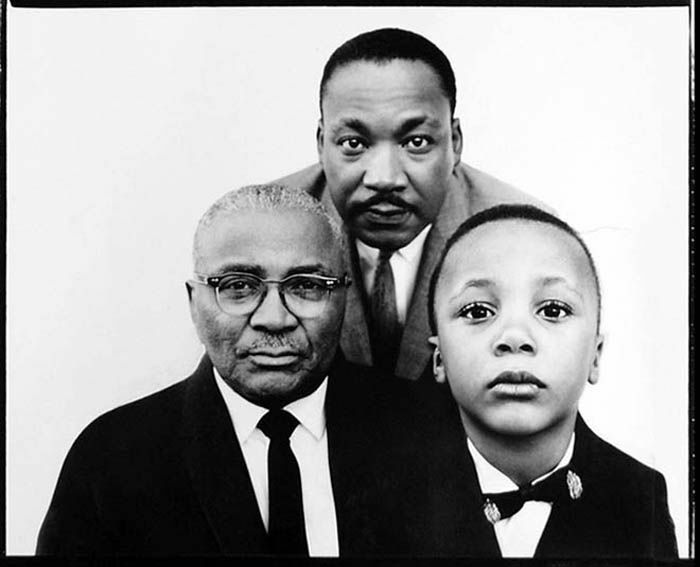 And so that’s the reason for the theme and the Avedon image, which I think emblematizes the direct gaze on the part of the three generations of the King family. It symbolizes the move from just looking at a picture to seeing that there’s a gaze that’s being created by the image. People often associate photography with historical enterprise, the idea of documenting what has occurred and looking at it retrospectively. But I wanted the two covers–one from Awol Erizku, a very young emerging photographer, and Richard Avedon–to show that it is as historical as it is contemporary. In addition to writing about Lyle Ashton Harris, one of the contemporary photographers in the issue, you also sat for a portrait. What was it like? That day was far more monumental than I maybe knew in that moment. I was going through a change, I think a break-up or something. There’s a way that Lyle’s work, and the act of sitting for a portrait in general, forces you to stand at attention to your own life. That’s what I remember most about that moment. It was a cavernous studio. I remember wondering what else was happening in the studio besides him photographing me because the space was so large, but kind of empty. I just had written about his work that year for an exhibition catalog so I knew his process, but I had never sat for him before that moment. I think the resulting image conveyed what really photography can do, which is force you to go to a place that only the image can capture. The issue’s timeline begins with Frederick Douglass, the former slave, influential abolitionist, and prolific speaker and writer. He was also the most-photographed man in America during his lifetime. When you were researching his life and relationship to photography, what did you uncover that was especially resonant for the issue’s theme and for understanding the contemporary relationship between photography and black culture? I discovered his speeches at the Library of Congress in their digitized form and you can see what he crossed out and the different versions he wrote and I discovered them before the text had been published, which was only recently in the book John Stauffer edited. To witness the labor, to witness the determination–repeatedly–to get this right. He anticipated, and quite humbly stated, that he was exploring a topic he knew others would continue to address and hoped that they would, it felt that it was a declarative statement for all contemporary scholars that, when I read it in his own handwriting [was very powerful]. There is another essay that’s impactful for me in many ways regarding understanding the political function of the artist and society, and that’s James Baldwin’s essay “The Creative Process.” I mention this, too, because it’s an idea that has a longer lineage than we often understand. We’ve long been grappling with what the artist’s function really is: getting us to see through our blind spots. Baldwin is speaking not only about photographers, of course, and Douglass was, but I think the reason why Baldwin’s text is so important for today is because through technology, nearly anything can become an image. It’s expanded our notion of what photography can be, the platforms we have in social media. The image now can contain many artistic forms. The reason why Douglass’s speech is so urgent today is because he was writing it at the dawn of the photographic age when it was new to be saturated with these images and we’re now in a similar moment because of technology. He was optimistic that pictures ultimately could work and could affect us. In his speech he described how pictures create “thought pictures.” He described our inner lives as a sort of picture gallery, a grand panorama. Today, with self-publishing and the web, we have access to so much more work from so many different authors. How does that impact our collective understanding of what’s happening culturally? What are some of the issues that come with a wealth of imagery available? Susan Sontag has dealt with this in “On Photography,” and the question we often have is: are we desensitized to images because there are so many around? I’m grappling myself with how we might counteract a potential desensitization to these images and the term I’m using is the “visual bystander effect.” I think we might be in a moment approaching it. This places increased weight on the vision of an artist to shift our perception by shining a spotlight on what, at that moment, we need to understand for history. And that’s why the artists in this issue are important. We’re starting to recognize the function they serve in society. The “visual bystander effect” is connected to the psychological term the “bystander effect” which is connected to the 1964 Kew Gardens, Queens, murder of Kitty Genovese that occurred in public and took 35 minutes to be reported by bystanders who witnessed it. And psychologists studied it because they wanted to understand how the presence of a crowd changes our behavior. The “visual bystander effect,” in my mind, is similar. The platforms of social media and technology create a sense of a crowd, looking at what’s being sent around virally. It makes people think someone else must be doing something, which was part of the delay in reporting Genovese’s murder. In this case, I wonder if the dissemination of images of injustice, in particular, is creating a similar phenomenon, allowing us to look and look away assuming that someone else will take responsibility. This also brings to mind FBI director James Comey’s recent unsubstantiated claim about “The Ferguson Effect,” that a spike in violent crimes was somehow linked to officers not making as many confrontations due to the fear of appearing in a viral video. How does that underscore the importance of understanding an image’s weight and meaning? It’s such and urgent and important question and I think there’s so much to be said. What we’re getting at is the need for American citizens–and anyone–to have an advanced state of visual literacy just to understand our daily world. These images of injustice speak to that. There’s this question of what image glut actually does, does it immobilize us? And if it does, at what point can we counteract it and how? I think one way is through repetition and creating a sense of immersive concentration and enduring attention. Fleeting attention is one of the concerns with image glut and that’s where the skill and impact of many of the works in the Aperture issue convey this sense of sustained attention in ways that can be transformative. In your editor’s note you wrote, “being an engaged citizen requires grappling with pictures, and knowing their historical context with, at times, near art-historical precision.” How do you suggest we “read” images? The way you do it is you look up, and you look down. You have to make sure that as you’re looking at an image, you’re looking at it with both your retinal mind and your reading mind. You’re looking optically and also for its context–for the tropes, the compositions that might have been repeated from other events. You’re looking at it radially. When I say “look up and look down,” it’s look up at the context that’s around an object but also look down to understand the foundation on which it rests. We started to see this early with the Obama presidency. 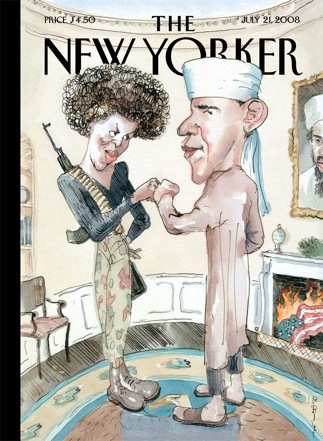 When you looked at the stereotypes initially that would come out, take the cover of the New Yorker with Obama’s fist bump with Michelle looking as if she’s Angela Davis. If you don’t know the history of images of black radical movements, you might not understand the narrative imposed on them. In the issue, you speak about “representational justice.” Can you elaborate on that concept? How does that connect to representation vs. reality, art vs. documentary and how photography relates to black culture? Representational justice is the term I’m using for the corrective move that photography–and only photography and pictures–can make to honor the dignity of full humanity. Why is that? The idea of representational justice is really compelling us to understand the way in which pictures have been central to things like racial science and how racial categories were hardened and fictions were turned into fact through representation, through the forceful use of photography as a tool to try to prove, as Louis Agassiz did with polygenesis. This is the reason Douglass was focused on photography as well. He was trying to use the very tool that was being politicized to breed African Americans out of the human family. We weren’t yet even citizens. And using it for the opposite effect, to show dignity and humanity. Representational justice is calling on us to understand different pictures, citizenship, and progress. The history of photography of African Americans and by African Americans has had a relationship to images as evidence of humanity from the very beginning. The quest has always been about proving humanity through pictures. In the chapters–from Gordon Parks, Carrie Mae Weems, Deborah Willis, Lorna Simpson–we’re seeing what comes when you no longer need to have this evidentiary enterprise as part of your photographic work but then can express joy and love and inferiority and all the different things you want to express with a photograph. We’re at a different stage of history. What do you hope the issue achieves? I hope that it becomes the beginning of a conversation about the transformative role of images and pictures and cinema and media of all kinds for social justice and for citizenship. I hope it really truly is the beginning because there’s much more work to be done and not just by scholars and writers and photographers, but by all of us who are living in the web of images that technology brings to us.